This lock is designed to prevent removal and theft of your operator arm. This pin replaces the clevis pin at the front mount, where the arm attaches to the gate. 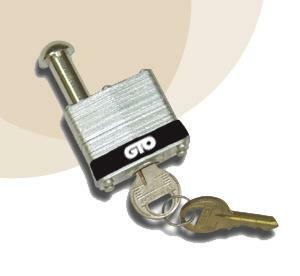 This locking device will work with all GTO/Pro & Mighty Mule gate openers except the Pro2000 series.